The Plough Inn01263 735000work01263 735407fax HotelA warm welcome awaits you at this attractive inn, offering comfortable bedrooms, all en-suite. Ideally situated amidst the beautiful Norfolk countryside, convenient for the North Norfolk Coast, The Broads, the historic city of Norwich and the airport. Friendly bar with wide selection of beers, lagers and wines. The restaurant offers a wide selection of excellent meals using local, seasonal produce wherever possible. Bar snacks, lunch and dinner. Interesting specials board, superb Sunday lunch. Special diets catered for. Aylsham 2 miles, Norwich 10 miles, Airport 7 miles. Central for fishing lakes, golf and bird watching. National Trust - Blickling Hall, Felbrigg Hall, Sheringham Park. Horseracing at Great Yarmouth & Fakenham. Surrounded by glorious countryside for cycling, walking & rambling including Marsham Heath. Single occupancy is £60 - £85 per person per night. 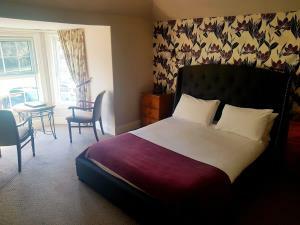 Twin or double occupancy £80 - £120. We also have two family suites which have 2 bedrooms and a bathroom, from £150 for four occupants. The Plough Inn sometimes limits bookings to 2 or more days. 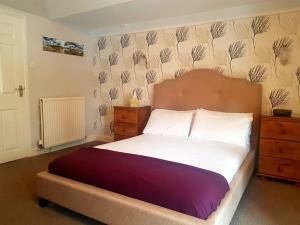 A warm welcome awaits you at this attractive inn, offering comfortable bedrooms, all en-suite. Ideally situated amidst the beautiful Norfolk countryside, convenient for the North Norfolk Coast, The Broads, the historic city of Norwich and the airport. Friendly bar with wide selection of beers, lagers and wines. The restaurant offers a wide selection of excellent meals using local, seasonal produce wherever possible. Bar snacks, lunch and dinner. Interesting specials board, superb Sunday lunch. Special diets catered for. Please ring us or go to our website to book direct. From the South: M11 towards Cambridge, A11 to Norwich, A140 towards Cromer, situated on left-hand side, just after the turning for Marsham village. From the North: A1, then A17 towards King's Lynn, A148 towards Cromer then B1154 to pick up the A140 towards Norwich, situated approximately 2 miles from Aylsham on the right-hand side of the A140. From Midlands: Join A47 towards King's Lynn then follow directions from the North. Nearest mainline station is Norwich. The Plough is very close to the Marsham bus stop on the A140.